What is drug susceptibility testing? Drug susceptibility testing means testing to find out if a person has got drug resistant TB. That means finding out which drugs the TB bacteria in their body are sensitive to. It is essential that if a person might possibly have drug resistant TB, that this is discovered as soon as possible, in order that the patient can be provided with effective TB treatment. Historically drug susceptibility testing has been done through culturing bacteria. It has needed specific laboratory facilities and trained personnel. In addition it is a very lengthy process. There are however now some new tests available one of which is the Genexpert test. This is much easier to use, but it only provides limited information about drug resistance. Drug susceptibility tests for TB are basically of two different types. One type of test is culture, which involves looking at how the bacteria behave. 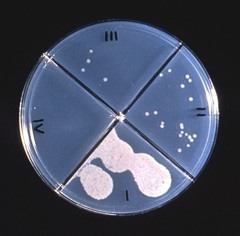 For example, do the bacteria grow in the presence of anti TB drugs? Another type of test involves looking at genetic mutations. Since resistance arises from genetic mutations, this approach is to detect the mutations themselves. Many mutations associated with resistance have been identified and molecular tests to detect them have been developed. The advantages of molecular methods of drug susceptibility testing include rapid turnaround times, but the disadvantages include a low sensitivity for some compounds, and a major issue is cost. It is generally perceived that specialist staff are required in order to perform molecular assays. 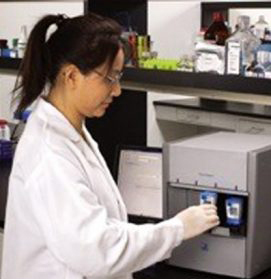 However, some assays such as the Genexpert are extremely easy to use. They can even be taken out of the laboratory setting and used as a “near” point of care test. Beacon assays detect M. tuberculosis complex and associated rifampicin resistance directly from sputum samples using ultra sensitive PCR. The Genexpert TB assay is an automated real time based system that has a number of advantages including the fact that it is a closed tube system. The WHO is encouraging the use of the Genexpert TB test, but it has a number of disadvantages including cost. Line probe assays are tests that use PCR and reverse hybridization methods for the rapid detection of mutations associated with drug resistance. Line probe assays are designed to identify M. tuberculosis complex and simultaneously detect mutations associated with drug resistance. One of the disadvantages with these assays is that they have an open-tube format, which can lead to cross contamination and an increased risk of false positive results.